Now a lot of people might hate me for saying this, but I am one of the few who absolutely loathed (with passion I might add) Michel Gondry’s Oscar-winning work, ‘Eternal Sunshine of the Spotless Mind’. Normally, I would avoid movies with such a confusing title, but seeing that it won an Oscar (Best Original Screenplay), I thought I should give it a shot. I regretted it of course. So queuing up last week at the cinema with my colleagues, it wasn’t looking great for me. I wanted to watch ‘Dr. Seuss’ Horton Hears a Who’ and ‘The Spiderwick Chronicles’. See, being the grown men and women that they are, my colleagues are not into ‘kiddy’ flicks. 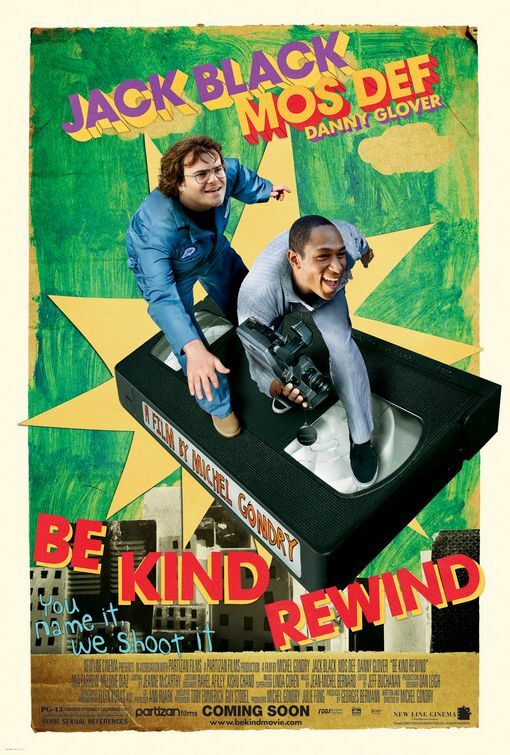 I suggested ‘Be Kind Rewind’ and they unanimously agreed to it. I haven’t been paying much attention to the film before, and it was only halfway through the line when I realised its another one of Gondry’s work. Well, too late to change their minds now. Having said that, surprisingly…I liked the film. Note that ‘like’ being the key word and not ‘love’. I believe that the key here is having a real comedian playing a comedian (Jack Black) and not a comedian playing a serious role (Jim Carrey in ‘Eternal Sunshine’). The premise is still as silly as Eternal Sunshine, and doesn’t make any sense at all, but I found myself laughing throughout the movie. I have to give it up to Black, as well as the awesome Mos Def for that. The story is about a video shop owned by one Mr. Fletcher (Danny Glover) and Mike (Mos Def) assists him in running the shop (the thing that baffles me the most is that they rent out VHS or video tapes when pretty much the whole world is now into DVDs). Nevertheless, the shop still has a few customers, if not many. So one day, Mr. Fletcher goes on leave and leave the shop in Mike’s care, and told him to “Keep Jerry Out”. 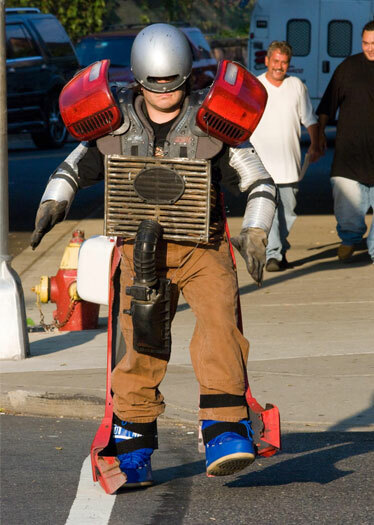 Jerry (Jack Black) is a mechanic who is the very definition of the word irritating. Obviously, Mike can’t keep Jerry out and so one night, Jerry drags Mike on his quest to sabotage a power plant. Things goes wrong, magnetising Jerry in the process. When he returns to the video shop, all the videos were erased, thanks to him. In walks Mrs. Falewicz (Mia Farrow), who wants to borrow ‘Ghostbusters’ and have no clue what the movie is about. Desperate, Mike and Jerry gets hold of a video camera and start to film their version of ‘Ghostbusters’, complete with costumes, props and lasers. When Mrs. Falwewicz gets home, his black-wannabe nephew watches the film with his homeys and goes back to the shop and says, “That’s not bad. What else y’all got”. So the sweding process began. What’s sweding? Sweding is the terminology used to describe movies that are being re-filmed by Mike and Jerry. They also got help from a laundry girl named Alma (Melonie Diaz). Their works includes sweded version of The Lion King, Robocop, Driving Miss Daisy, Rush Hour 2, Men In Black and a whole lot of others that I can’t even remember at the moment. The great thing about this movie is that it could create a Youtube phenomenon, whereby amateur filmmakers or movie buffs from all over the world will start sweding their favorites. It will at least make them think about it (I know I did). If you’ve missed this film in the cinema, never fear as it’s not one of those films that you just have to watch in the cinema. Personally, I was waiting for it on DVD. Also, in the DVD, I hope that there will be a special feature consisting of the sweded movies as we were only able to see them being filmed and not the finished works. Still, I doubt that Gondry will actually cut a finalised version of the sweded films but hey, you wouldn’t know. As for now, brace yourselves for an onslaught of sweded movies, courtesy of Youtube. But enough with the Daniel Plainview imitations already! You guys will never be as good as DDL! Fazil thought that sweding movies meant making movies in Sweden. 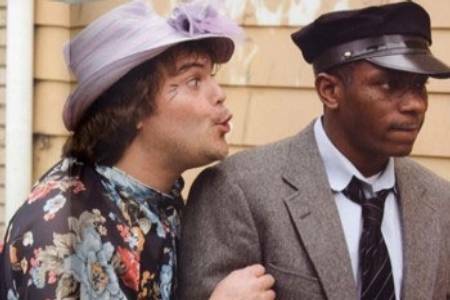 gondry even sweded be kind rewind official trailer. i have yet to watch it. is it any better than science of sleep? 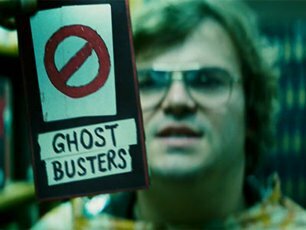 I haven’t seen Be Kind Rewind yet, but it sounds less weird that Science of Sleep. Having said that, Science of Sleep is wonderful, so it might take some doing to top that 🙂 I reckon that Michel Gondry’s imagination is up there with the likes of Guillermo Del Toro and Peter Jackson.